Warm & Windy Today - Arctic Front Tonight. 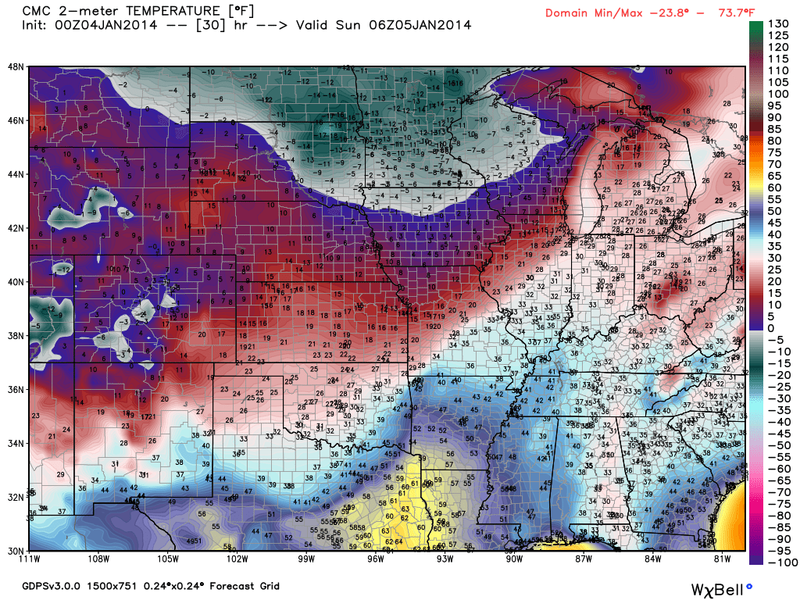 Last Nights 00Z5 PM MST GFS 500 MB Forecast. 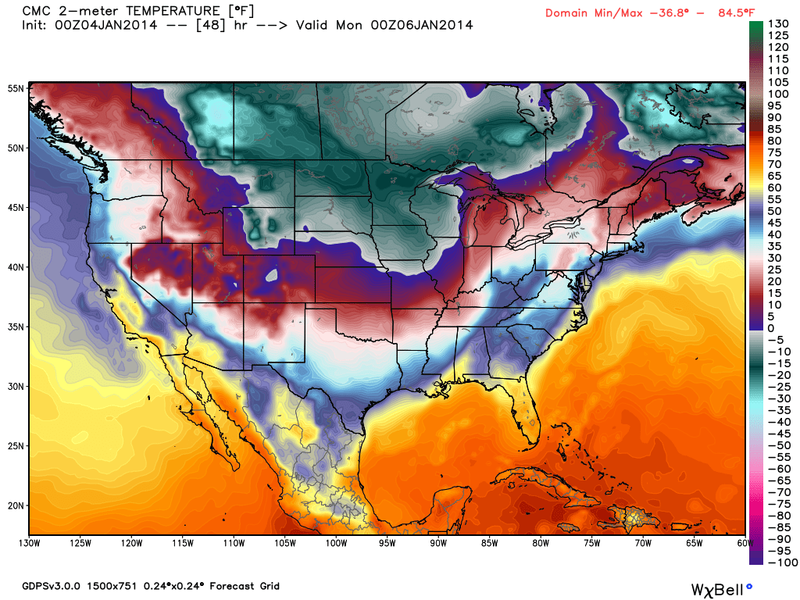 Valid @ 5 AM MST Monday, January 6, 2014. Last Nights 00Z5 PM MST ECMWF 500 MB Forecast. Last Nights 00Z5 PM MST Canadian (GEM) 500 MB Forecast. 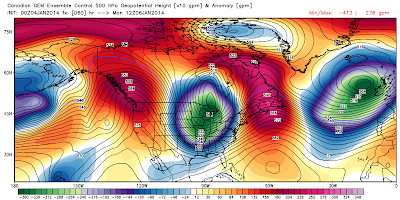 All three of the Ensemble Control models (GFS, ECMWF, GEM) were in good agreement last night ) 00Z runs) concerning the position of the Polar Vortex Monday morning. All three models placed the center of the Vortex over, or near the Great Lakes Monday morning. Notice the strong blocking (ridging) on either side of the low. This opens up the gate for the brutally bitter cold arctic airmass to surge south into the heart of the U.S. from the arctic. 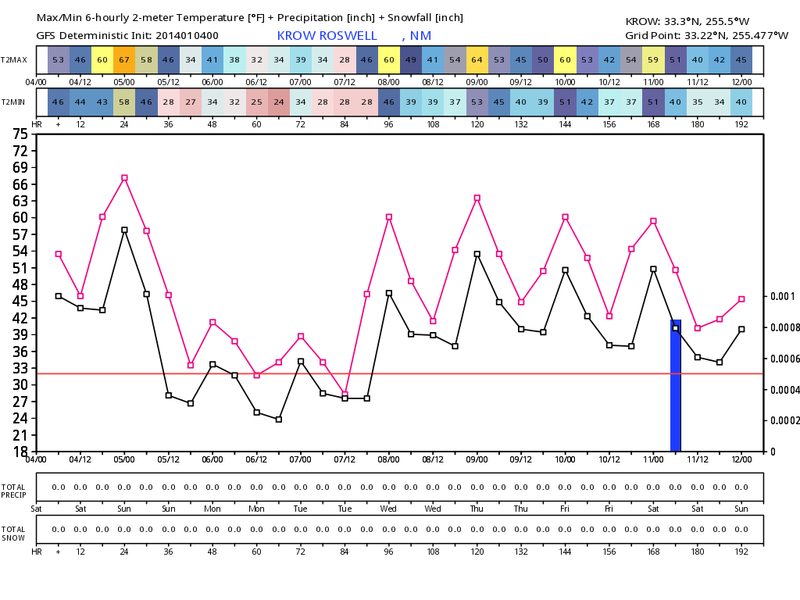 What the models do not agree on so much is how cold will it get in our local neck of the woods. 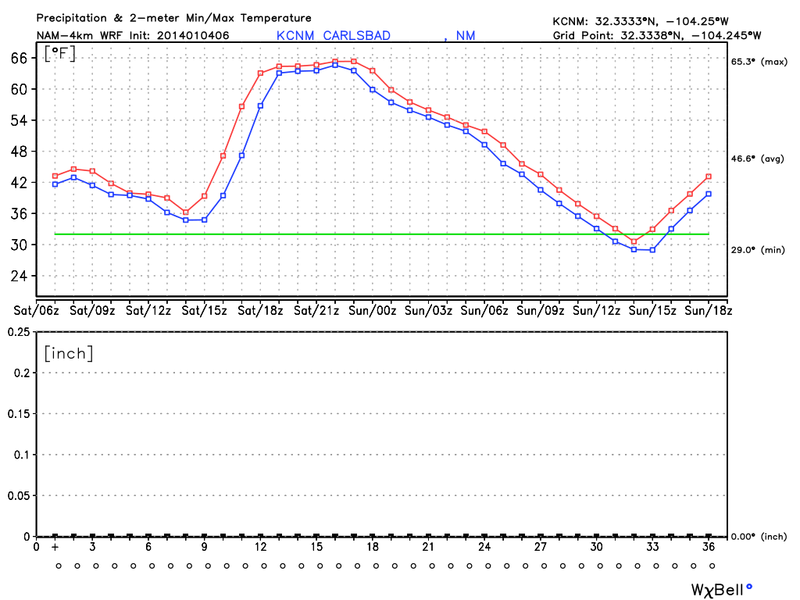 The Canadian GEM model came in the coldest last night. Since the models historically struggle with these arctic intrusions, and just for fun, I will use its temperature forecasts this time. 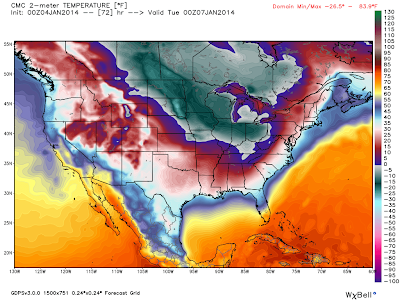 Last Nights 00Z/5 PM MST Canadian (GEM) Temp Forecast. 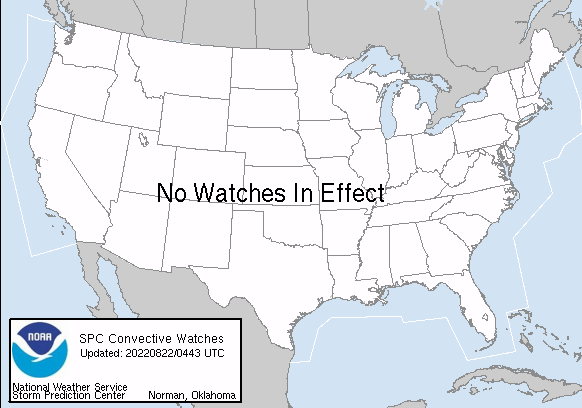 Valid @ 11 PM MST Saturday, January 4, 2014. According to this model forecast (Canadian - GEM) the arctic cold front backdoor's into southeastern New Mexico just before, or around midnight tonight. 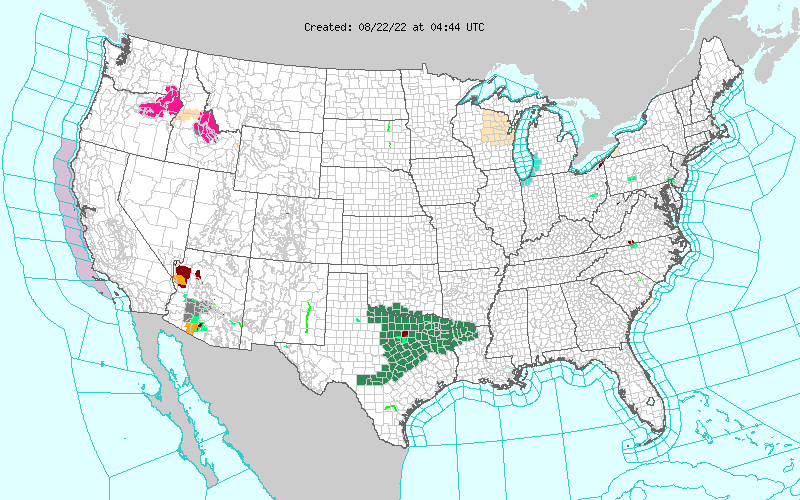 Timing these arctic fronts is sometimes pretty difficult and this appears to be the case with this one. 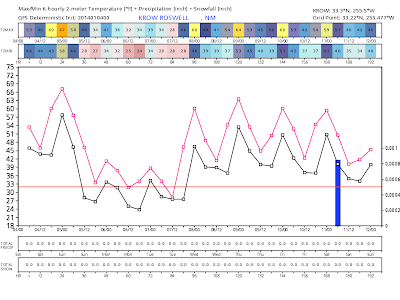 The front may arrive a little sooner or later than what this model is forecasting. Regardless, don't let your guard down. You will know when the front arrives. 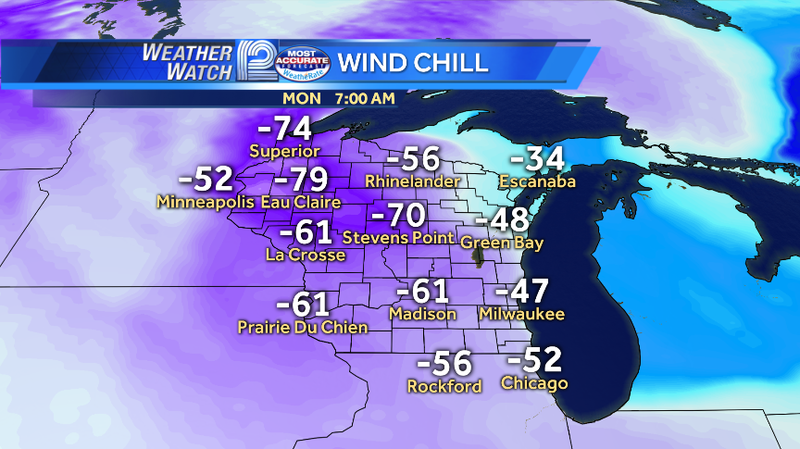 Sunday Begins The Chill For Us. Valid @ 5 PM MST Sunday, January 5, 2014. 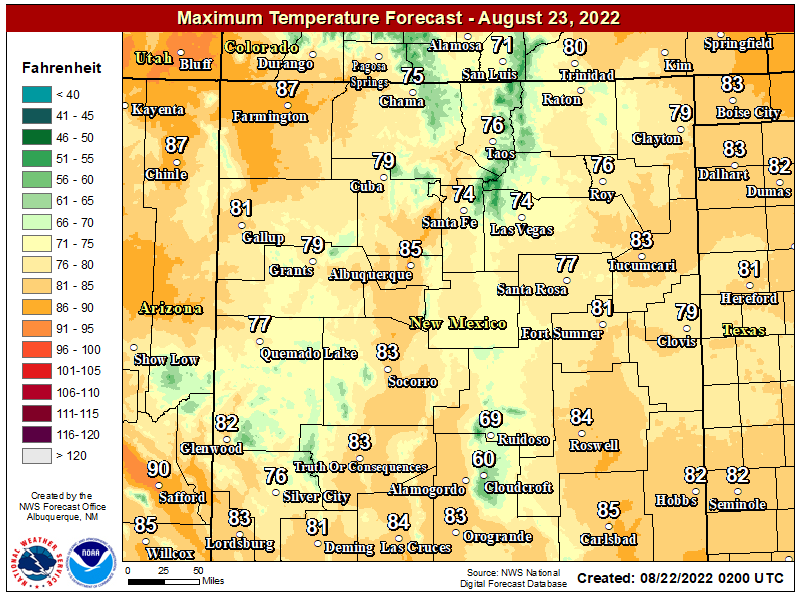 Sunday's highs will struggle to get out of the upper 30's across southeastern New Mexico according to this models forecast. 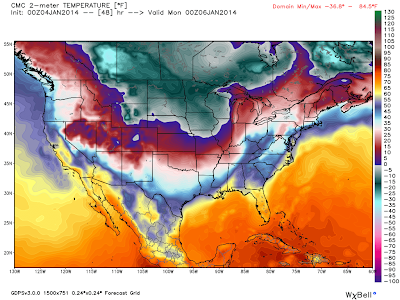 Monday Will Be Coldest Day Of Week. 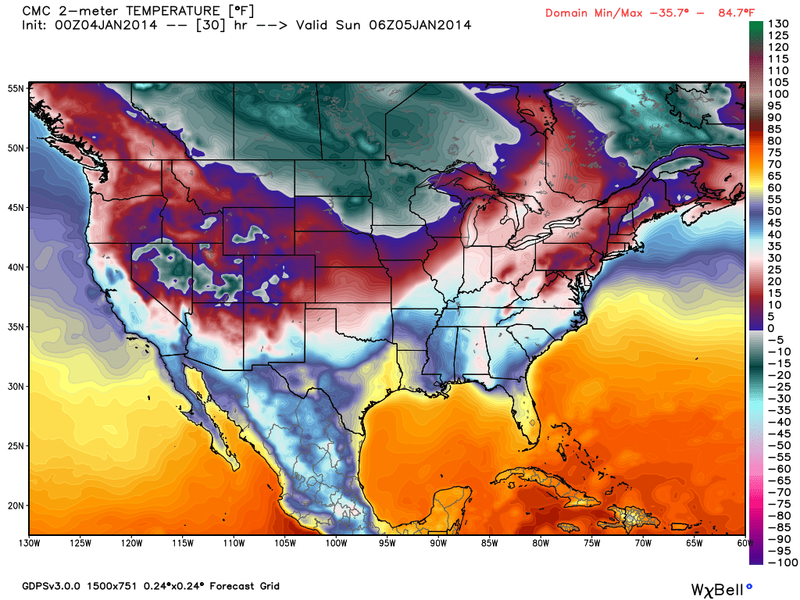 Valid @ 5 PM MST Monday, January 6, 2014. A cold morning and day is in store for us Monday. 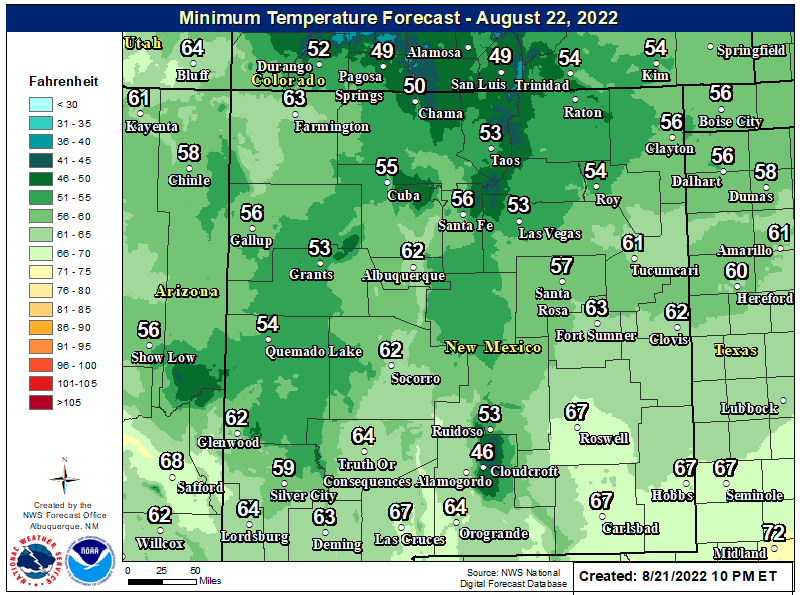 Single digit temperatures in the Clovis and Portales areas, and teens across the rest of southeastern New Mexico is being forecast by this model at sunrise. Wind chill values based on this temperature forecast could be as low as -5F in the Clovis and Portales areas, and the single digits across southeastern New Mexico Monday morning. 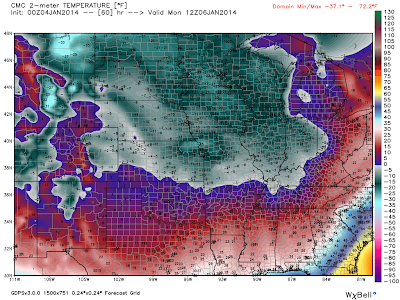 Our highs on Monday may not make it to the freezing mark, or much above it if this model is correct. GFS & ECMWF Not As Cold. 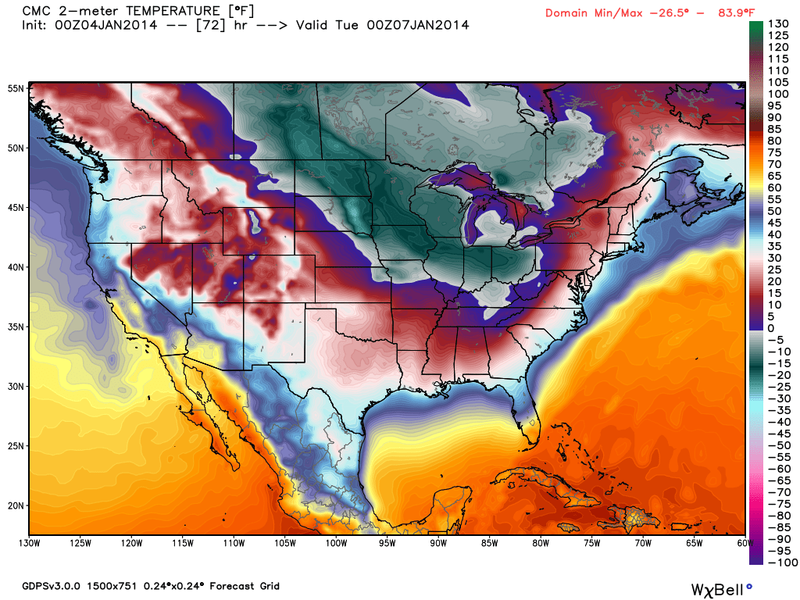 Last Night's 00Z/5 PM MST GFS 10-Day Temp Forecast. 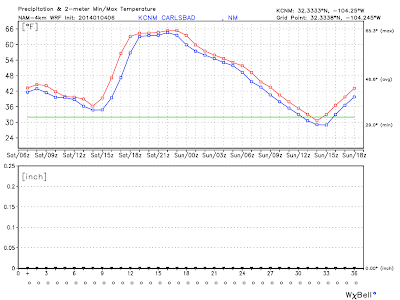 Last Night's 00Z/5 PM MST ECMWF 10-Day Temp Forecast. 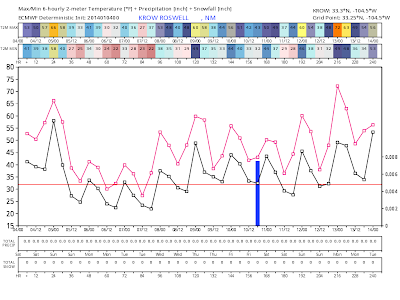 By comparison last night's 00Z/5 PM MST runs of the U.S. GFS model and the European (ECMWF) models came in a little warmer than their previous runs, and warmer than the Canadian (GEM) model. My thinking is that the Canadian is closer to the truth...but I could be wrong. 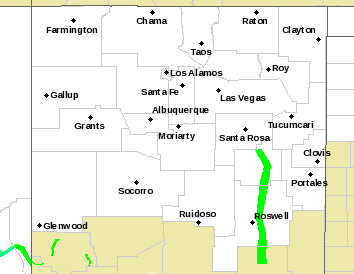 Light Snow Across NE NM. 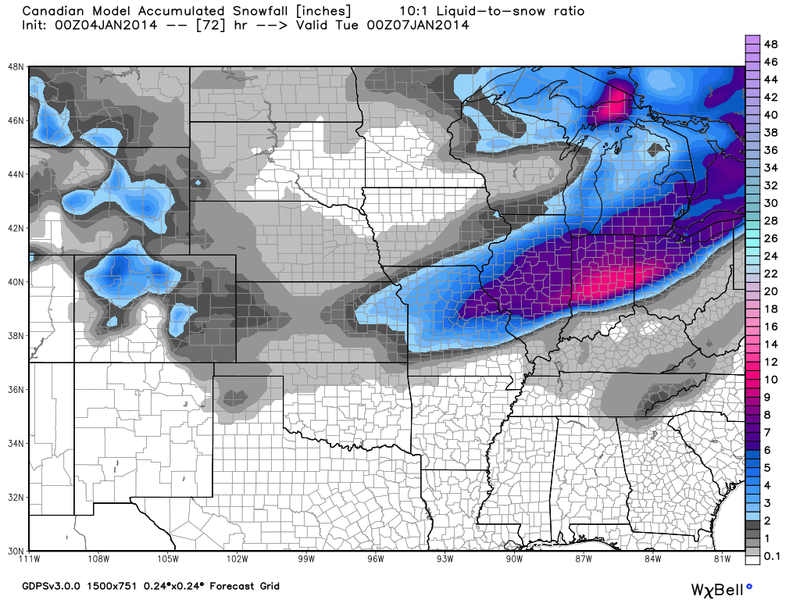 Last Night's 00Z/5 PM MST Canadian (GEM) Snowfall Forecast. 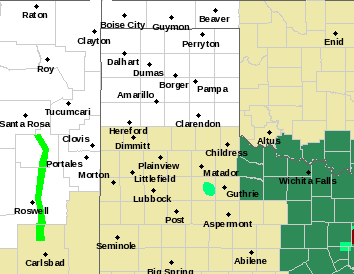 Light snow is forecast across northeastern New Mexico. 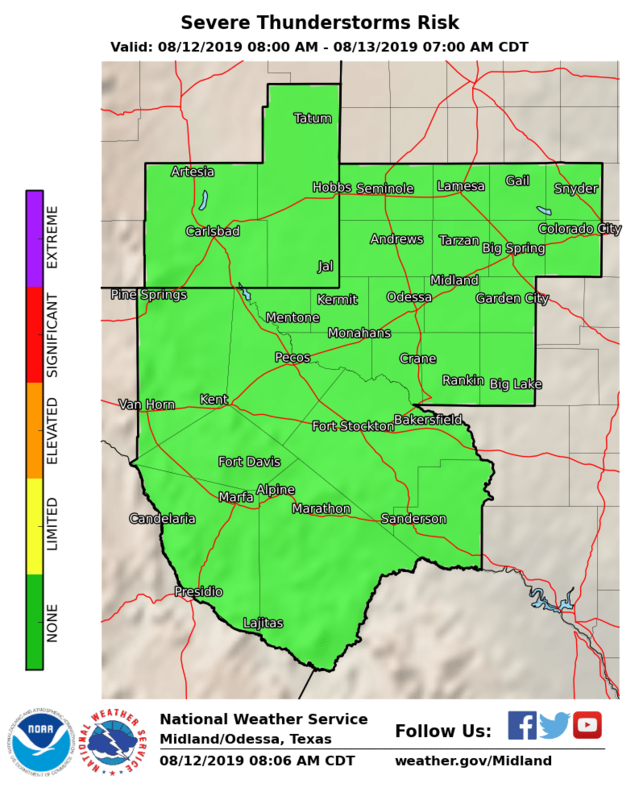 But no snow is currently in our local forecast across southeastern New Mexico. A warming trend will be underway by Wednesday. 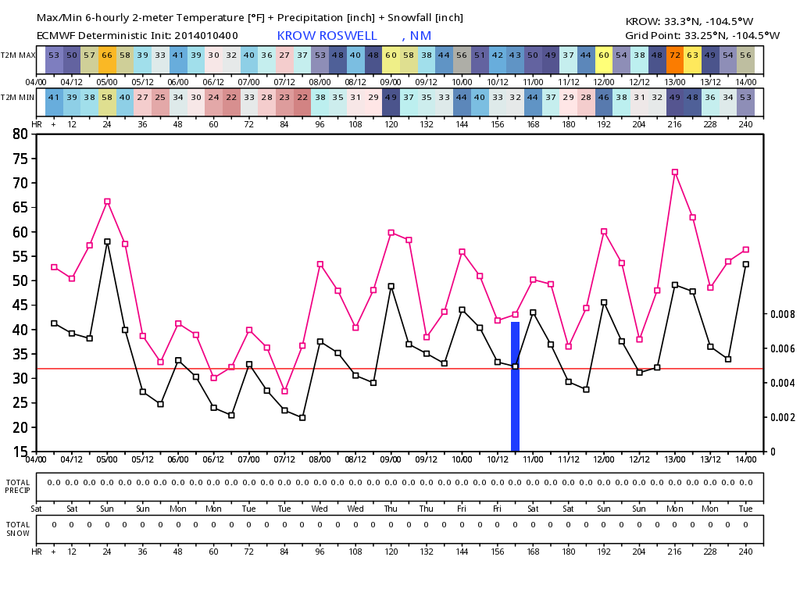 We may have a shot at some light precipitation by the end of next week. 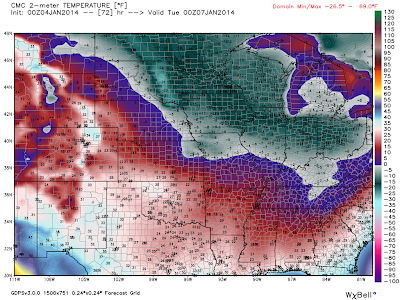 Last Nights 06Z/11 PM MST WRF Temp Forecast. 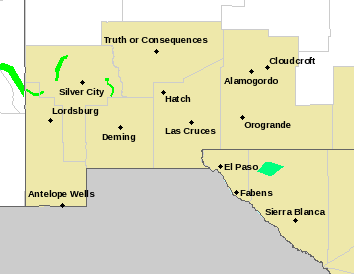 Elevated Fire Weather Danger Today in the Pecos Valley. 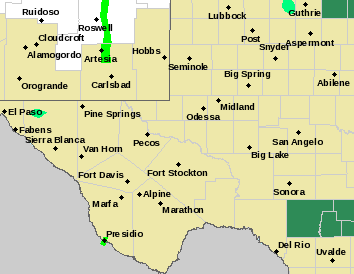 A High Wind Warning is in effect for today for the Guadalupe Mountains. West winds sustained at around 35-50 mph with gusts near 65 mph are forecast. Highs this afternoon are expected to climb up into the mid-upper 60's. 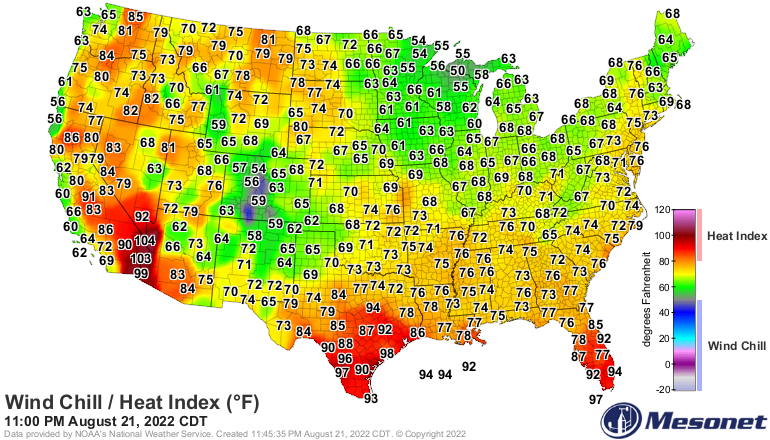 A few spots may flirt with the 70-degree mark. Southwest to west winds will gust up to around 35 mph this afternoon. 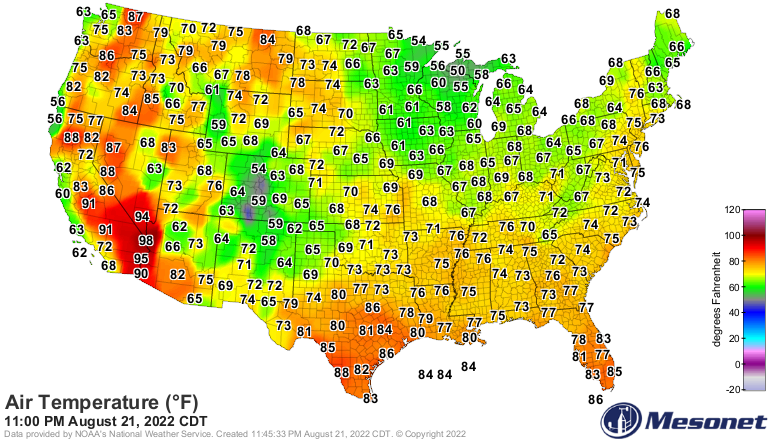 Be glad we live in southeastern New Mexico. 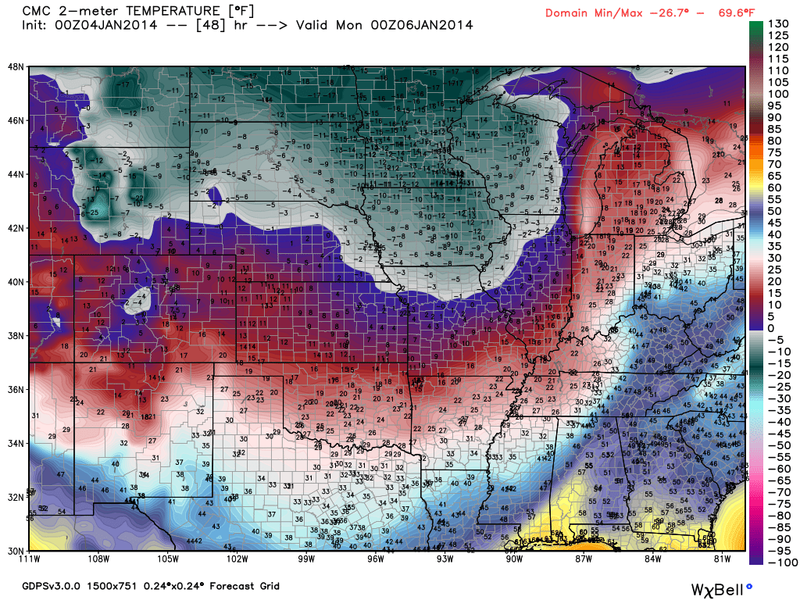 Its going to get cold but it will be nothing compared to what the heartland of the country is going to endure. Wind Chill Forecast For Wisconsin Monday Morning. 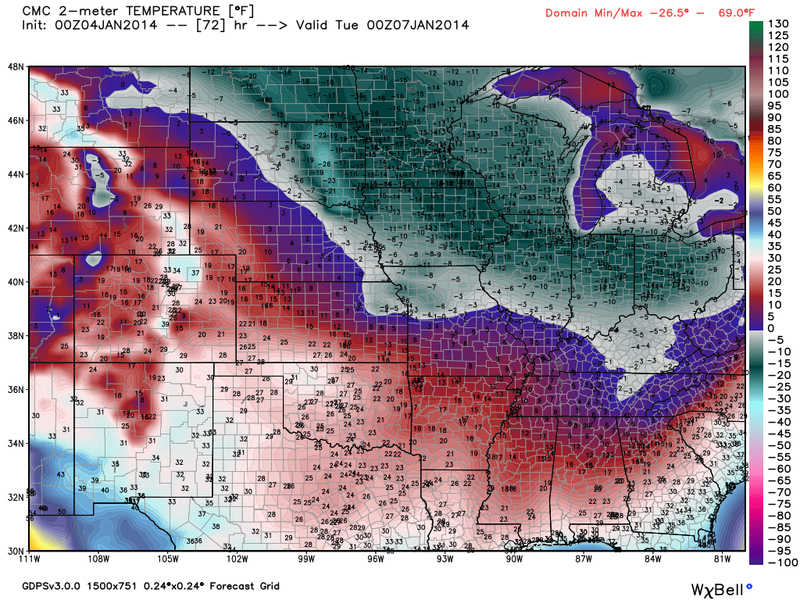 Coldest Air In 20 Years To Aim At Nations Heartland. 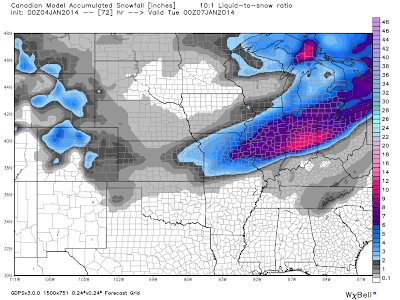 Wild Weather Forecast For The NFL Wildcard Weekend. 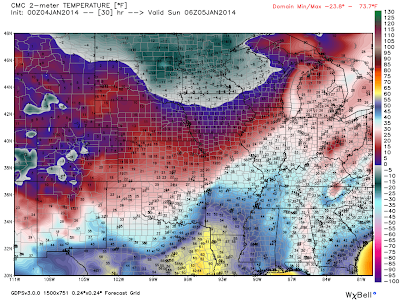 Blinding Snowstorm, Flash Freeze Loom For Midwest On Sunday.